Grit moms was developed by Kimberley Boyer out of her struggle to find that healthy balance between being the helicopter parent and being the parent sending her children to ride the subway by themselves. She wanted her children to thrive independently and to work through situations; both social and academic; with tenacity, conscientiousness and curiosity. There were days when she would micromanage every part of her children’s lives and then there were days when she would let them write their own schedule. But one day as another summer began, her 10 year old son said, “I want to write a book.” So she put together the blank pages of paper and stapled them together and asked him a few questions: What is your book going to be about? When do you want to finish it? What other stuff can I get you so you can get this done? Then she got out of the way because as an educator, that is what she tried instill in her students and what her educational leaders modeled – To set a vision, provide the resources and then get out of the way. As a parent however, Kim learned that philosophy is easier said than done. There are still moments where she enables instead of empowers her children but she fails forward, learns from her mistakes and tries again the next day. Lessons she tries to model for her children in hopes that they will inherit them. There are many moms like Kim and she wanted to connect with them and learn from them by creating this site. As a mom still learning, Grit Moms is not only a vehicle for Kim to share her efforts to raise grit children of her own but it is a vehicle for other moms to do the same. When Kim isn’t building the Grit Moms movement, she is mothering her two rambunctious children Emmit and Audrey. Grit Moms see a society of families who incorporate the qualities of grit in their lives passionately every day. A society where children AND parents finish what they start and continue to try even after experiencing failure. Finally, Grit Moms dream of a society where parents build quality relationships with their children that give them the confidence to persevere. The mission of Grit Moms is to provide an online and face-to-face forum for moms to share stories of grit success and frustration as we navigate through this amazing journey of parenting. It is through this communication that resources and lessons learned can be shared. We believe that all children learn differently and are motivated by different things. As such, we believe there is no silver bullet or cookie cutter way to cultivate grit in our children. To start, we need to recognize what matters to our children, when we should step in and when we should step back. Grit talent takes time and patience to develop and requires continuous effort on both the children and the parents. 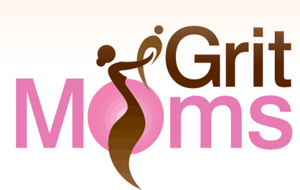 The Grit Moms site is meant to inform, inspire and connect moms as we all strive to cultivate and sustain grit qualities in our children.